Kim (Freilich) Dower was born and raised in New York City and received a BFA in Creative Writing from Emerson College, where she also taught creative writing. Her first collection of poetry, Air Kissing on Mars (Red Hen Press, 2010), was on the Poetry Foundations Contemporary Best Sellers list, and her second, Slice of Moon (Red Hen Press, 2013), was nominated for a Pushcart Prize. Her newest collection is Last Train to the Missing Planet (Red Hen Press, 2016). Her work has been featured in Garrison Keillors The Writers Almanac, and Ted Koosers American Life in Poetry, as well as in Barrow Street, Eclipse, The Los Angeles Review, Ploughshares, Rattle, and the anthology Wide Awake: Poets of Los Angeles and Beyond (Beyond Baroque Books / Pacific Coast Poetry Series, 2015). The founder of the Literary Publicity Company, Kim-from-L.A., she lives in West Hollywood, California. Read an interview with Kim Dower and poems on the Writers Almanac website. 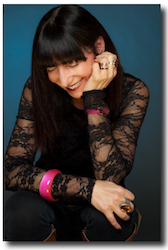 Learn more about Kim Dower on her website. 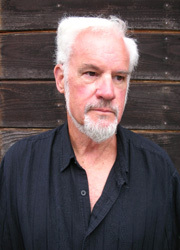 William Minor is the author of seven books of poetry: Pacific Grove (1974), For Women Missing or Dead, Goat Pan, Natural Counterpoint (with Paul Oehler), Poet Santa Cruz: Number 4, Some Grand Dust (Chatoyant Press, 2002), and Gypsy Wisdom: New and Selected Poems (Park Place Publications, 2015). He is a professional jazz musician, is the author of over 150 articles and three books on music, and has set poems to music and recorded two CDs: Bill Minor & Friends and Mortality Suite. Bill was commissioned by the Historic Sandusky Foundation to write a suite of original music and voice script based on a married couples exchange of letters throughout the Civil War: Love Letters of Lynchburg. In 2007, Bill published a comic novel: Trek: Lips, Sunny, Pecker and Me, and in 2012, The Inherited Heart: An American Memoir. In 2011, Bill was first grand prize winner in a national essay contest, What Music Means to Me, sponsored by Retail Print Music Dealers Association. Read three poems on William Minors website.